The Troubling Rise of For-Profit Colleges in the New Economy, Tressie McMillan Cottom, The New Press. Cottom—an assistant professor of sociology at Virginia Commonwealth University—previously worked as a recruiter at two for-profit colleges, and her research for the book included over a hundred interviews with for-profit college employees, students, and activists. As a former insider, she’s able to dive deep into whether or not the education these colleges provide ultimately leads to career success. Using her personal experience as a springboard for discussion, Cottom exposes the recruiting and marketing strategies utilized by these colleges, which countless students and teachers have come to regard as unethical. Often times, students are left paying exorbitant amounts of money for a lower-quality education that most potential employers recognize as undesirable. As such, it’s often a challenge for students to find jobs after graduation, and as a result, they find it difficult to pay back their huge student loan debts. 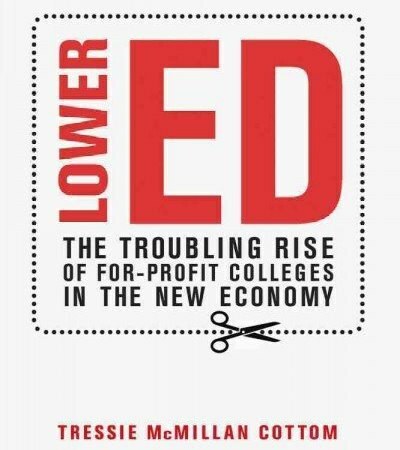 Cottom also explains how the closings and failures of some of the for-profit colleges that occurred recently won’t stop the practices that enabled them to grow so quickly in the early part of this century. Yet the failure of many students to find suitable careers and pay back their loans is only one part of the problem. Cottom also takes a look at the congressional battles that resulted from the issues surrounding for-profit education in this country. She also illustrates the problems many students have faced when trying to find jobs and pay back loans by focusing on the inequality of race, gender, and work opportunity in the United States. According to Cottom, the money in the for-profit system only contributes to what is an unequal and unfair system. 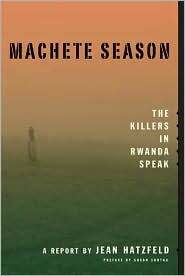 Machete Season—The Killers In Rwanda Speak, Jean Hatzfeld, FSG.